Garden Photo of the Day: Thank you, Berma Abercrombie, for your daffodils and for my career! Thank you, Berma Abercrombie, for your daffodils and for my career! There are people who come into your life, and maybe without realizing it at the time, steer you onto a path that will change you forever. One such person for me is the late Berma Abercrombie. When I was just married and became interested in planting my own flowers (both my parents were passionate gardeners), I would go down to my mother's and admire her borders around the house and the rows of flowers she would plant in the vegetable garden. I hadn't paid a whole lot of attention during my high school and college years - too interested in other things - but when I had a house of my own, I wanted bouquets on the table like I had growing up. My mother always claimed she only wanted flowers she could cut. That's funny, because one of my favorite gardeners and actually a garden guru for me, never thinks of flowers for the house. She likes them in the garden. Anyway, I would ask my mother where she got a particular day lily or a chrysanthemum or an iris, and the answer was almost always, "From Berma Abercrombie." So, when I lucked (literally) into a chance to write a "try-out" article for the Atlanta Journal-Constitution, Mother called Berma Abercrombie to introduce me. It turned out that Mrs. Abercrombie was known all over the United States for her expertise in the genus Narcissus. She also had a refined collection of rare daffodils from all over the world, planted around her 19th Century house on a large farm along the Chattahoochee River in south Fulton County. I went out on a very cold February day. About a half-mile from her house, I started noticing patches of yellow narcissus lining both sides of the road. As I would find out later, these were escapees from Mrs. Abercrombie's garden. We sat inside near a large picture window that didn't really match the house. It turned out that Mrs. Abercrombie was also an expert in ornithology. Unfortunately, she had advanced macular degeneration, so she used high-powered binoculars, which she held at an angle (she had peripheral vision only), to do her bird watching. Beyond the feeders laden with sunflower seeds, were waves of daffodils. These, she explained, were called 'February Gold', a particular favorite of hers. Everywhere around the house were other daffodils, but she asked me to come back in March to do any photography. That's when the peak of the season would be. I returned the next month to finish my interview. The garden editor of the AJC ran the article on the front page of the Home & Garden section. In fact, the pictures taken by a newspaper staff photographer took up 3/4 page. 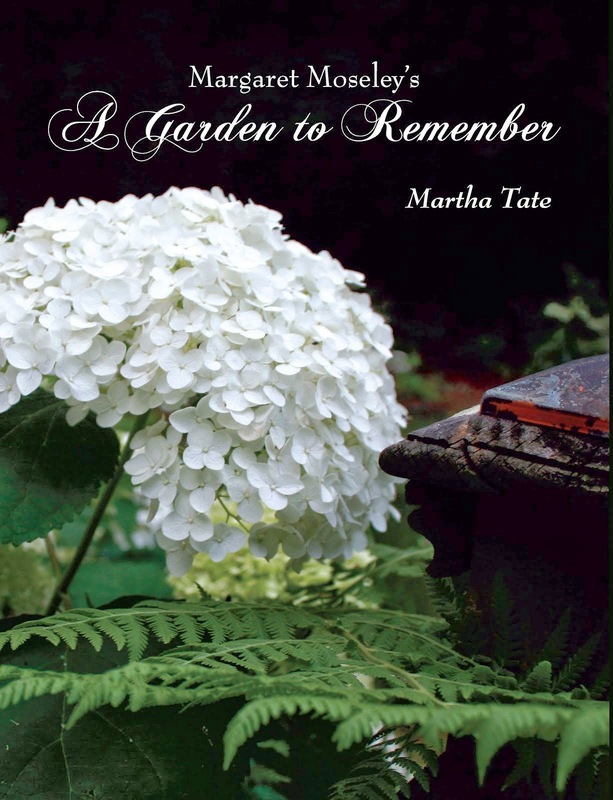 So, it was because of this extraordinary woman, who founded the Georgia Daffodil Society and was active on the national level with the American Daffodil Society, as well as the Hemerocallis, the Iris and Chrysanthemum societies, that I got a job I loved, writing about gardeners. Every year after that, I visited her when her daffodils were in bloom and again when her giant clumps of peonies put on a show. The newspaper editor was so impressed with her that he hired me to write a regular column, which I did for the next 21 years. Out of my work there came a series on HGTV, A Gardener's Diary, hosted by Erica Glasener, and produced by Kathryn MacDougald and me. It is ironic that this diminutive dynamo (could I have it right that she was four feet, seven inches tall?) would have made such a big change in my life and steered me into a wonderful career in the garden world. I can't even begin to say here all the things I learned from her. 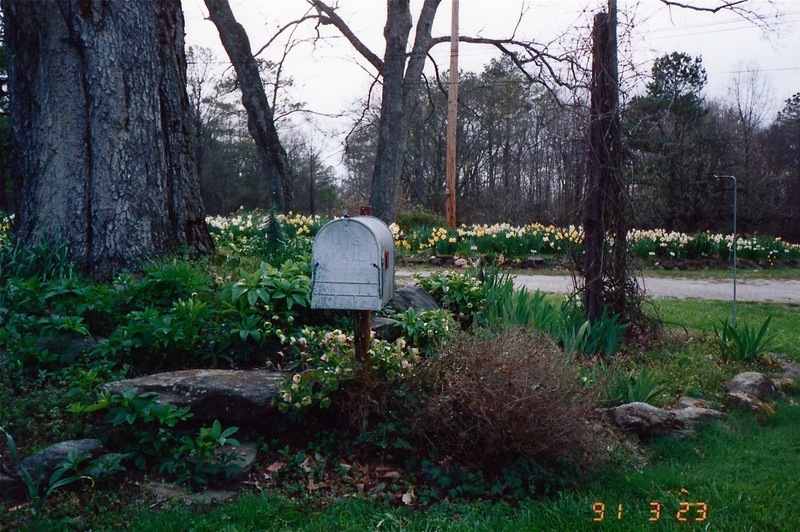 The photograph above shows the mailbox where she kept her gardening tools. I still have the hellebores she gave me from around that big tree (which is no longer there). I would drive away from there with big bouquets of the most interesting and beautiful narcissus. The fragrance would be so strong, I'd have to roll down the windows of my car to keep from fainting. It was a magical place with one of those rare gardeners who would have been revered, no matter where she had lived. My visits to her were before there was digital photography, but from time to time, I will show you some other views of her fabulous gardens. Her nephew Buddy Garrard and his wife Virginia have done a wonderful job of preserving this beautiful land. And, Virginia has had a great time watching over the garden and adding things of her own. Mrs. Abercrombie would have loved that. Love the wonderful photos of my favorite hobby.